Thaumic Sauna Stove is a block added by the Witching Gadgets mod. 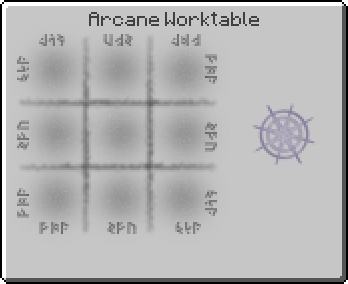 When supplied with Water, the machine will give all players in the area of 7x7x5 blocks around it the Warp Ward effect, also applying shader effect. The Warp Ward will immediately expire once the player leaves the area. One Water Bucket is enough to keep the machine running for 10 minutes. Staying in the area of a working machine will give a player a small chance to reduce Temporary Warp. "Personal hygiene and spa-feeling seems to be the new trend among thaumaturges. To go along with it, this Sauna Stove will fill the area around it with a pleasant, cleansing steam. While subjected to this steam, you are protected from warp effects and you have a small chance of reducing your temporary warp. However, after a sauna visit you will also be left quite hungry! The Stove needs only water to work, which can be inserted with a fluid container like buckets or pumped in directly. One bucket of water will keep the stove going for 10 minutes! If you are a user of EnviroMine, the Sauna will also leave you thirsty and slightly overheated, but it as great effects on your sanity!" Thaumic Sauna Stove has no known uses in crafting. This page was last modified on 30 August 2017, at 23:08.